No matter how much we wish it was so, babies do not arrive with their own personal how-to manuals and Google isn't a guaranteed reliable resource for parenting questions. Oh, how I wish they did come with at least a FAQ booklet! 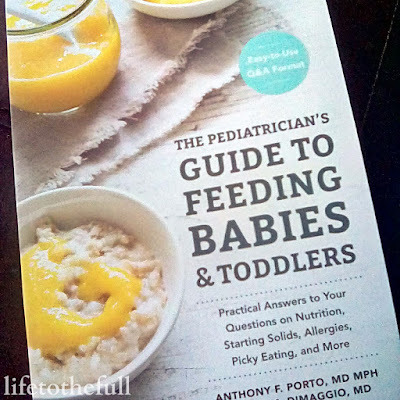 When it comes to food, The Pediatrician’s Guide to Feeding Babies and Toddlers is the FAQ book I have been looking for. Written by Anthony Porto, MD, and Dina DiMaggio, MD, this book covers nearly every feeding-related question that I have had since the births of our two children. Information on different feeding options are covered in detail, from breastfeeding to formula to choosing the right bottle for your baby. 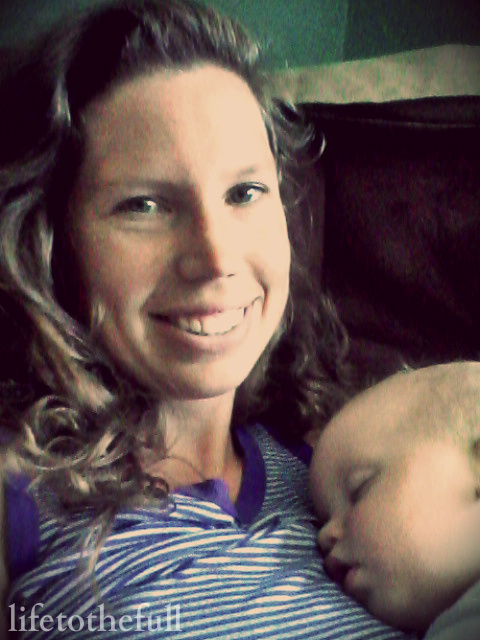 The pediatric team gives very helpful information on milk storage for moms who plan to pump and a breakdown of the types of formula for moms who plan to formula-feed. As a breastfeeding mom, I greatly appreciate a resource that shares the benefits of breastfeeding for mom and baby to remind me why I'm still nursing him past the one year mark. I have been asked at least 5 times now when we are going to wean him. My answer? When he's ready. Porto and DiMaggio stand by the American Academy of Pediatrics' recommendation to breastfeed until baby is one year old or for as long as desired. The Pediatrician’s Guide to Feeding Babies and Toddlers also contains a wealth of information on food allergies, when and what foods to introduce to your child, recipes that fit each developmental stage and many other helpful resources. Personally, I learned so much from this book! For instance, male infants have higher caloric needs than female infants. Giving your child more food at night is not proven to help them sleep longer. And, no, you should not pre-chew food for your baby (wait, people do that?!). Overall, I highly recommend this book and I know it will be a well-used resource in our home! The Pediatrician’s Guide to Feeding Babies and Toddlers is available for $18.99 at various retailers. Where was this book when my daughter was an infant?!?! Sounds like the perfect book for every new mother! Thanks for the review!